For as long as I can remember, I’ve dreamed of visiting Sicily. After years of hearing stories of the homeland from my nonni (grandparents), I longed to see Italy, and the town in Sicily where they hailed from, for myself. The moment I landed in Palermo, I felt like I belonged. I understood snippets of the language, everyone gesticulated just as much as I did (if not more! ), and while my redheaded friend kept getting told to put on sunscreen, the locals would look at my complexion and declare, “Mediterranea. You ok.” (Disclaimer: despite inheriting that Mediterranean olive skin, I wore sunscreen – it was August, and the sun was scorching). While Sicily probably conjures up thoughts of “The Godfather” and not “my grandparents” for most people, those who don’t have a personal connection to the place will surely find it just as incredible as I did. Although it’s often overlooked in favor of classic mainland destinations like Rome or Venice, Sicily is an amazing destination in its own right. The food, language, architecture and people have all been influenced by the many civilizations that have dominated it over the years, and this unique fusion of cultures, along with the stunning landscapes, is what makes Sicily worthy of a visit. Here are my picks of the best of Sicily: the must-see places as well as the must-eat dishes and must-do activities all over the island. Sicily’s capital city, a historically important trade port that was taken over by many of the surrounding countries throughout history, is always bustling with activity. Look for the signs of Sicily’s past conquerors in the present-day architecture. The Palermo Cathedral, with Romanesque, Baroque, Gothic and Modern influences, is a great example of competing architectural styles within one building. Spend the day wandering the small, medieval streets or simply sit on a piazza and enjoy a taste of Sicilian cuisine. Make sure you try spaghetti ai ricci (pasta with sea urchins), pasta alla Norma (pasta with tomatoes, eggplant and ricotta) and all the seafood you possibly can – Sicily is an island, after all! If you’re looking for something out of the ordinary, head to the Catacombs of the Capuchins, an eerie but interesting site, where 8000 embalmed corpses who died between the 17th and 19th centuries are on display. 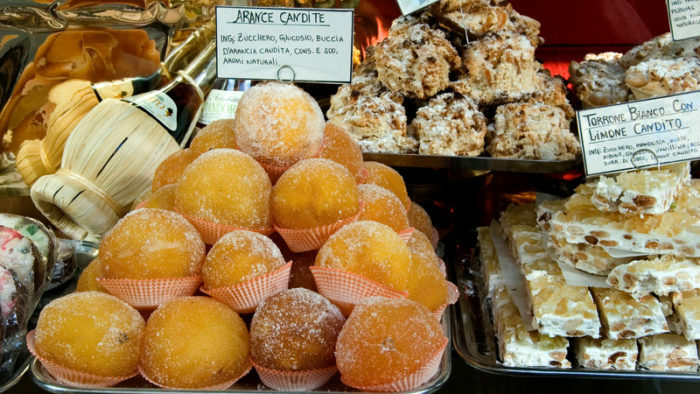 More Sicilian cuisine to sample – dessert! 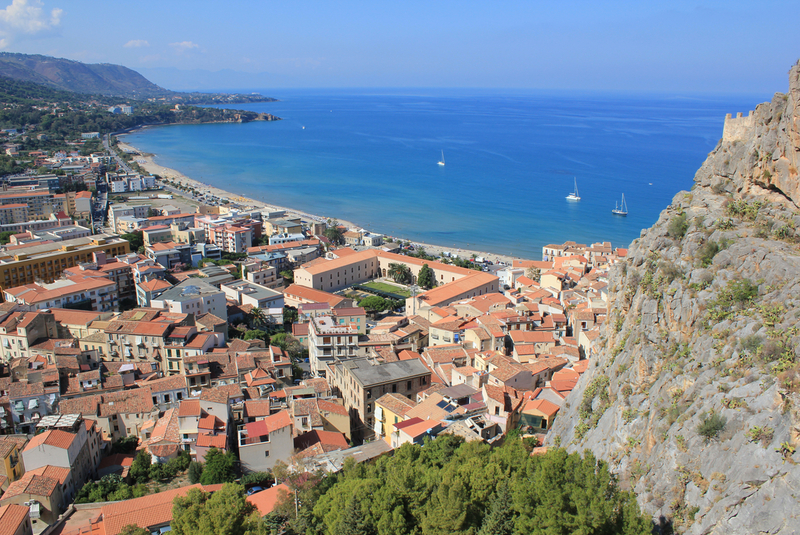 Cefalu is a quiet seaside hamlet on the north coast of Sicily. This undiscovered treasure sitting on the rocky headland by the ocean is like a smaller version of Monreale or Palermo with smaller crowds. It’s a great place to relax on the beach or explore more magnificent cathedrals with Norman and Arab influences. For equally beautiful, but completely different scenery, head inland to the Nebrodi Mountains. 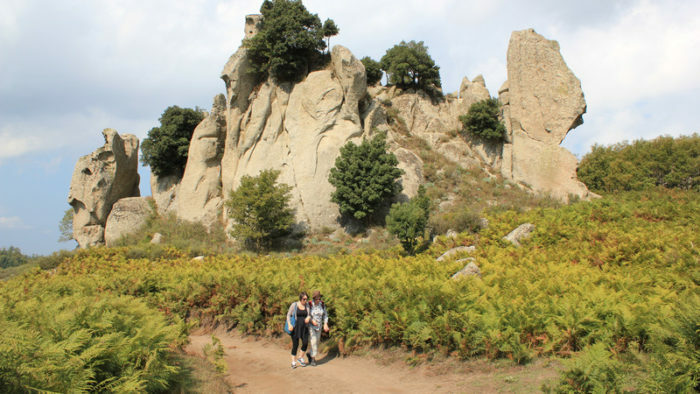 While you might not have a view of the sea, you’ll be able to hike through the Malabotta Forest and past megaliti – strange rock formations that dot this part of Sicily. Sicily tends to be fairly devoid of tourists in general, but this hike is truly off the beaten path. While you’re unlikely to stumble upon other travelers, if you’re lucky, you might spot a wild boar. For a truly authentic experience in this area, I recommend staying at an agriturismo (villa-style accommodations in the countryside, sometimes located on a farm). On this Peregrine tour, you’ll stay at a lovely agriturismo resort near the foothills of the Nebrodi Mountains that overlooks the coast and the Aeolian Islands. On the southwestern coast of the island, lies Agrigento. And although the city itself is alive with the buzz of locals zipping through the streets on scooters or enjoying an aperitivo, the real draw here is the extraordinary archeological site just outside of town. The Valley of the Temples is the site of seven towering, Doric-style Greek temples as well as an archeological museum. This is perhaps the best place (outside of Greece, that is) to experience Greek architecture for yourself. If you want a true taste of the dolce vita, Taormina is the consummate destination for it. You’ll find rows of shops and top-notch restaurants with a backdrop of sweeping views of Mount Etna, the Mediterranean and rolling citrus groves. The whole town feels more modern compared to the medieval winding roads and crumbling castles in the surrounding Sicilian cities, but Taormina has spectacular ruins to see as well. The Greek theater ruins are a must-see, and there is Greek-influenced architecture everywhere you look. It’s a fabulous spot to stroll along the seaside or take a dip, pick up some souvenirs and enjoy the best arancini on the island (try them at Da Cristina, an unassuming but fantastic little restaurant). 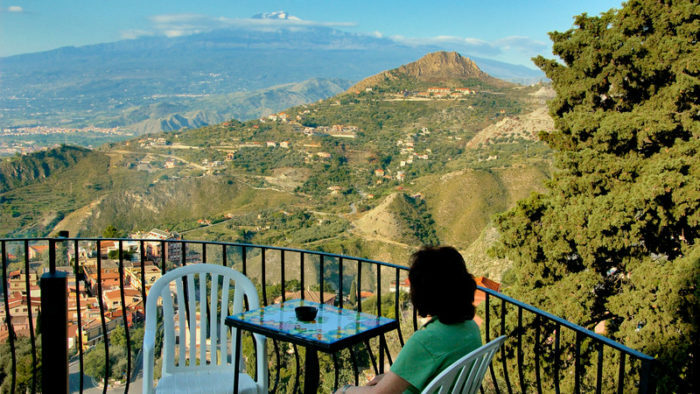 While Taormina is a known tourist hot-spot, just a short drive (or a fairly steep walk) away lies Castelmola. The fortified hilltop town is just far enough out of the way that it is rarely visited by tourists, but offers even more stunning views of the mountain, sea and city below. A trip to Sicily’s east coast wouldn’t be complete without a visit to Mount Etna. It’s stunning from afar, but there are ample ways to enjoy Europe’s largest active volcano up-close as well. 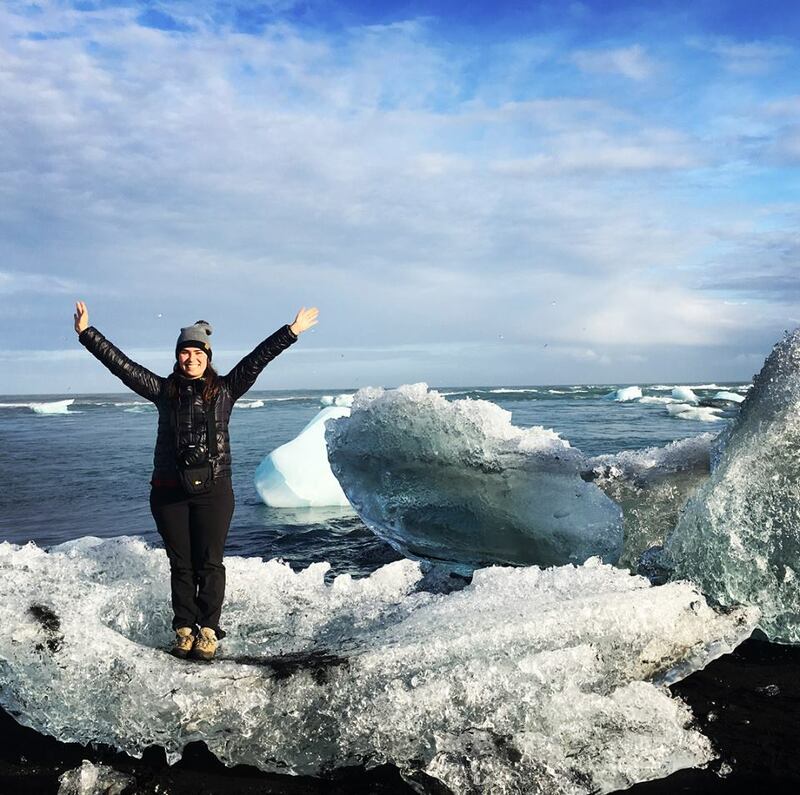 Take a cable-car to the top (or hike, if you’re fit and up for a challenge), explore the dramatic valleys and marvel at the lava flows. In the winter, you can also ski down the immense peaks. At the end of the day, wind down with a glass of Etna Rosso, the wine that’s made in this area. The grapes are grown in volcanic soil, resulting in bright yet rustic red wines. These three towns in Sicily’s southeast form a triangle of must-see spots. You’ll be impressed by Ragusa as soon as it comes into view. This Baroque city filled with narrow, winding streets all built up on a hill seems to emerge from nowhere as you turn the corner, and it is truly one of the most scenic Sicilian towns. Modica is home to the oldest chocolate factory in Sicily (operational since 1880) where they make chocolate with the same ancient technique and ingredients brought to Sicily by the Spaniards. Noto is also a Baroque city filled with grand cathedrals and streets that seem to shine. While here, you must try the cappuccino ghiacciato (almond milk granita with iced coffee) from Caffe Sicilia. 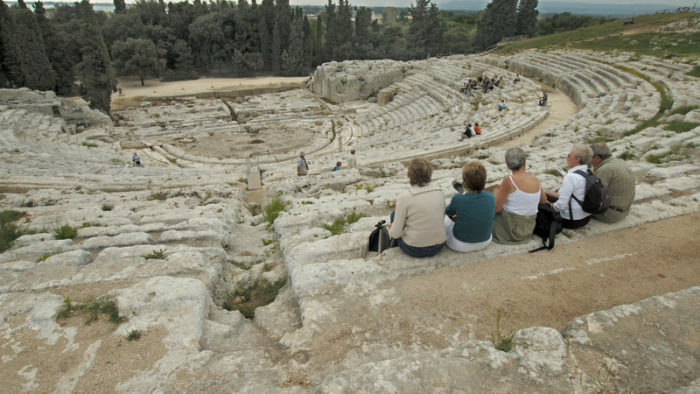 Syracuse was once one of the most important cities in the Greek empire, so the city today is filled with ancient ruins and archeological sites. You’ll also find important monuments, Baroque churches and tons of exceptional restaurants here. If you haven’t sampled Sicilian desserts yet, this is the place to do it – it’s home to some of the best cannoli and granita in Sicily. Once you’re stuffed with sweets and have had your fill of ruins, head to the Island of Ortigia. Amongst the narrow lanes and crumbling palaces, you’ll find charming shops and enotecas (wine bars). There is also a bustling market here. Just follow the heavy scent of spices and fresh seafood, and you’ll be sure to find it. Insider’s tip: go in the morning and it’ll just be you and the Sicilian street vendors. Convinced that Sicily should be on your Italian itinerary? 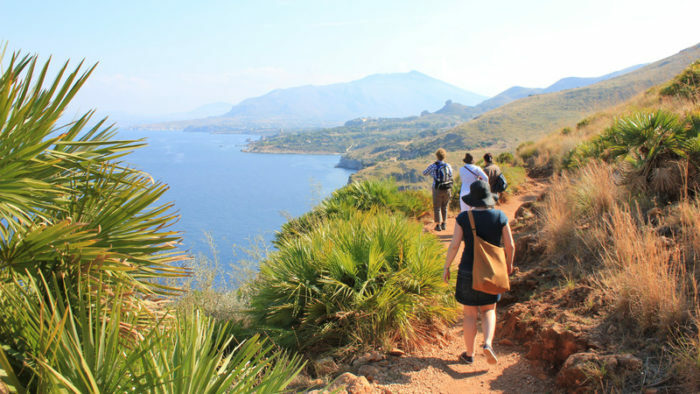 View this 11-day walking tour of Sicily.